There has been an excessive amount of negativity with regard to refereeing lately and as ever the abuse of match officials’ is the main topic of the negativity. What motivates colleagues to voice their experiences in such an attention seeking manner? 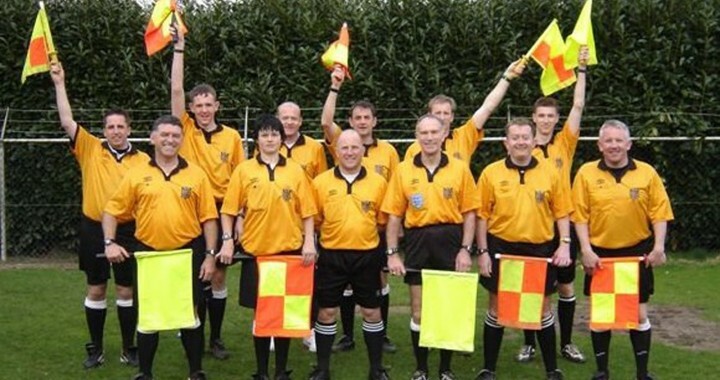 I wonder what sort of referee they were? We will never condone any form of abuse towards match officials but we are getting very annoyed that there is an impression that referees go out every week thinking their 90 minutes will be full of life threatening scenarios and an hour and half of threats, swearwords and many other scary moments. Well we are sorry to disappoint the scare mongers and bandwagon jumpers but we love the whistle and I know some of you reading this won’t believe it, but it is not just players that get butterflies in their stomach before games believe you me. Ironically do you know that one of the most common statements we hear at games is “Fair play ref I couldn’t be a ref, I don’t know why you do it”. Now don’t get us wrong, some times when we are getting changed on a cold January afternoon sitting next to lawn mowers, a mop and bucket, a pitch marking machine with no toilet in sight it does somewhat dampen the dreams of a sunny day in May at Wembley stadium believe you me. Throw into the pot that player who you know is going to make you earn every part of your £20 match fee and the dream of PO BOX 1966 seems even further away. However, we will not be put off by the negative scaremongers’ and the bandwagon jumpers who seem to think the only way to raise the profile of referees is to talk about the abuse we receive each week. We never see positive stories in the national papers from any referees support groups and this does not encourage participation and retention for our wonderful “hobby”. Have met their future wives, husbands, best men, children’s god parents and yes even their bridesmaids. Like life everywhere we will be told we are wrong, will be chastised, challenged, shouted at and disagreement with at almost every turn but that doesn’t stop me being happily married for 15 years does it? So why would it stop me refereeing every week? Posted in Blog and tagged lovethewhistle.